Low unemployment and a robust economy have come together to form what is known as a ‘candidate market’ – a situation where there are more job openings than there are qualified candidates. This creates a cutthroat job market for employers, who must compete for a limited number of suitable applicants. Just last month, the U.S. jobless rate dropped to 3.7%1 - the lowest in almost thirty years. This, along with a strong overall economy, has created a talent shortage that is being felt across industries and individual businesses. The same survey found that while companies are improving their appeal to job seekers with competitive salary packages (43%) and promoting company culture (48%), the main reason for voluntarily leaving a job was for career progression. While offering competitive employee compensation is an important part of inviting qualified candidates to an open position, money alone is not enough to attract new employees (and retain existing employees). Instead, organizations must recognize what employees are looking for from a company and use that knowledge to present themselves to applicants in the best possible light. The benefits that appeal most to job seekers include health insurance (75%) and retirement planning (21%). The perks that most interest candidates are early Friday releases, flexibility and remote working opportunities, onsite amenities like gym access, and unlimited vacation time. A recent study7 found that 55% of job seekers would take a lower-paying job at a company with a good reputation for CSR, and for millennials, that number rises to 75%. 58% of all job seekers and 76% of millennials consider a company’s CSR commitments when deciding where to work; and 51% of all job seekers – 64% of millennials – would refuse to work for a company that does not have strong CSR commitments. Filling open positions in a candidate market is a complicated prospect for today’s employers. Competition is fierce for a limited pool of qualified candidates, and that is only expected to grow. The Global Talent Crunch study from Korn Ferry found that the current shortage of skilled workers in the US could worsen, resulting in a loss of $1.748 trillion across industries.8 The expectation is that the market will remain candidate-driven for the foreseeable future; so now is the time for businesses to improve their appeal to job applicants. 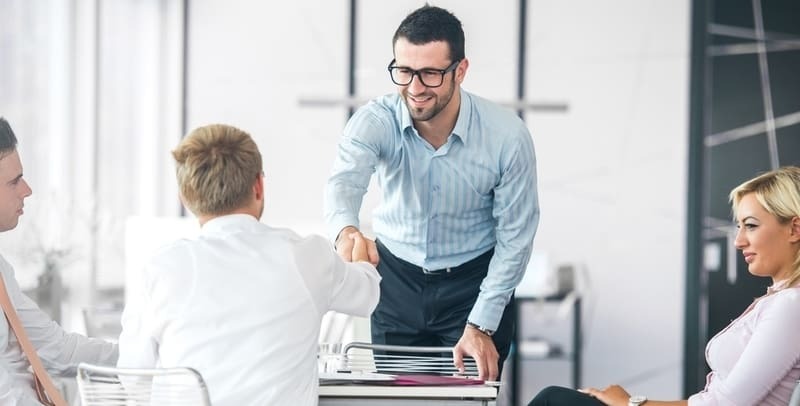 While following the above tips can help businesses attract and retain employees, finding qualified talent is still a challenge as more companies are competing for the same candidates. Working with a staffing and recruiting firm, like Sparks Group, as a strategic hiring partner can help your company attract the top talent needed to fill your available positions. Sparks Group is a full-service staffing and recruiting firm that understands the core values of your business to personalize our hiring approach. We specialize in placing exceptional talent in full-time, temporary, or contract positions in diverse industries and companies to streamline your hiring process and help your business grow. Request a consultation with a staffing and recruiting expert to learn how Sparks Group can help you attract and hire top talent in a competitive candidate market.